Make a little investment in a big dream! #WhatWouldYouGive for a Child to go to School? Meet Randy. He wants to be a pediatrician. Between his mom's overdoses, his little sister's pneumonia, and his own severe headaches, he's spent enough time in hospitals to know the difference between the doctors who simply clock in and out and the ones who stop by just to cheer you up with a magic trick. The road to Randy's dream starts with tan pants, a button-up shirt, a brown coat and black closed-toe shoes. That's Randy's uniform and his ticket to school. Without it, he can't go to school. And when your mom only makes $250 per month selling clothes six days a week for 12 hours a day, there isn't money for a uniform. Randy has already been accepted to the National School of the Sciences. He arrives 2 hours early to school each day to study, and he knows exactly what he needs to do next. Medical exams aren't offered in Spanish, so Randy has been learning English so he will be ready. Without his prized ticket to school (his uniform), he'll miss the chance to achieve his dream of becoming a doctor. Randy's feet are growing as fast as his English vocabulary. 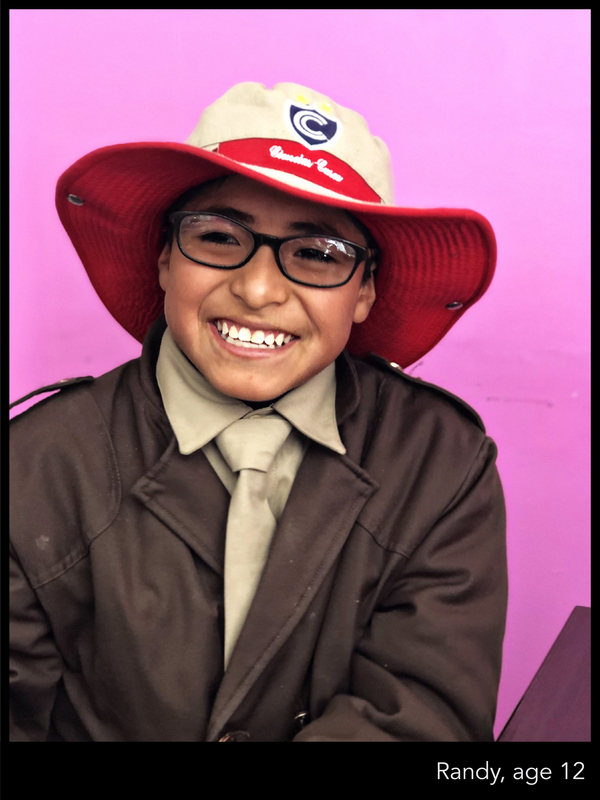 By sponsoring his uniform and school lunches, we're going to make sure he keeps his prized spot at school and can eat each day. It's a little investment in a big dream. We can't wait to see Randy on the other side of the hospital equation--providing care and doing magic tricks (which he sees as essential to his training) for kids just like him. Nuevo Camino has 34 kids like Randy who are watching their moms fight for their futures. Their moms want to see their kids do more and be more. And there are more moms out there that want to give their kids a fighting chance at a new life. Let's give these kids the gift of education, and with it, the most important kind of knowledge they can have--that they are as worthy of love and investment as your own kids. #WhatWouldYouGive for these kids to have a chance at a better life? As a retired teacher and having a former student very involved in this charity, I wish to support these educational needs. God bless these children.